Another great edition of Seaworthy magazine – Howard Boat Works, Inc. This isn’t my first post about Seaworthy magazine and it probably won’t be the last. 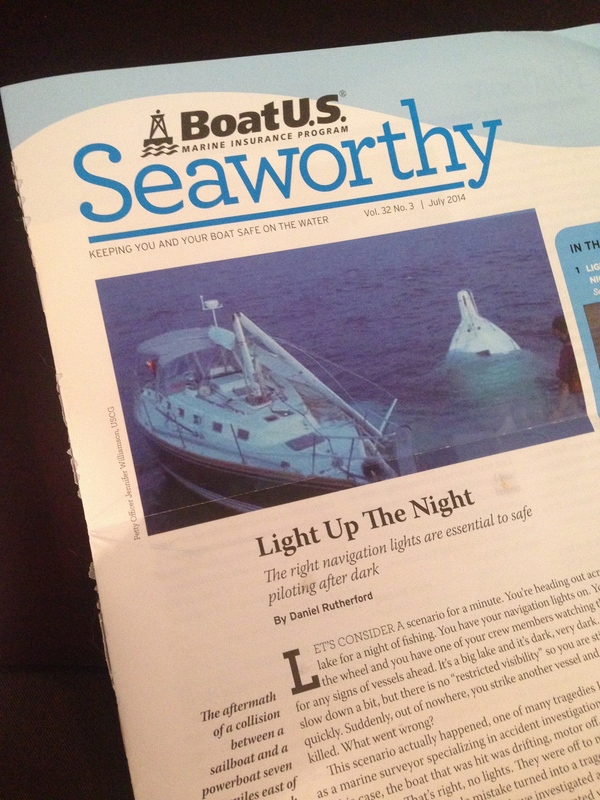 It’s published by BoatUS and provides all sorts of tips, from time saving to life saving, every quarter. Many of the boating’s industry’s magazines are slick and glossy and emphasize all the fun aspects of boating. This is as it should be! However, it’s important to remember that safety and sound upkeep practices don’t happen by accident. This is Seaworthy’s niche and it’s a valuable one. How to identify someone in danger of drowning or electric shock drowning. Typical drowning behavior is not as obvious as you may think! Typically about 15 pages, the magazine is a quick read and should be in the ‘must read’ category for boaters. Previous Post Previous post: Wise words!